Update 2.13.5 is now live! With some of the longest Patch Notes in recent Awesomenauts history, update 2.13.5 is here! It brings lots of tweaks and balance adjustments all across the board. Also, this update is the last one before the Awesomenauts: Overdrive expansion goes live. The list is too long to go into each and every detail, but the shoes should be mentioned. 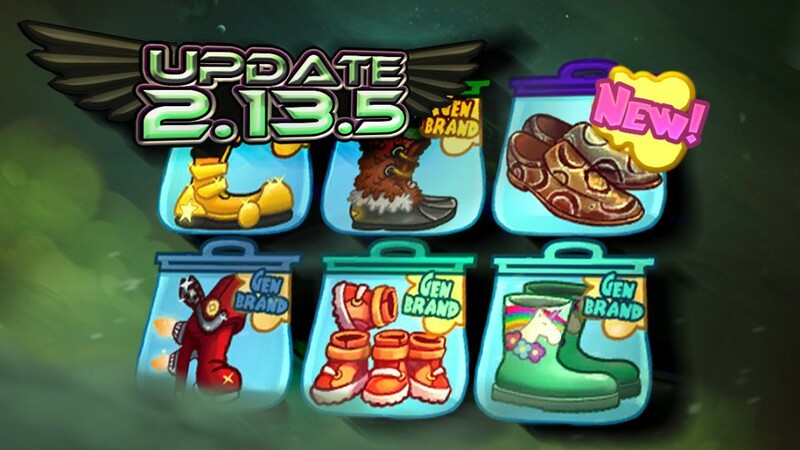 All shoes have received some kind of adjustment, resulting in a better balanced 6th item row. In fact, Froggy actually received a whole new pair that is unique to him. So head over to your Steam machine and give the ol’ updater a good swing to pull down 2.13.5. Then enjoy the more balanced experience while we get ready to go into Overdrive! Again, the full patch notes for 2.13.5 are right here.